A Black Tusk record without Athon - that's a rough pill to swallow. It's not because I don't think the band should continue without him, in fact I think that their carrying on was the best thing they could do to pay tribute to the man, rather this conjures up all sorts of rough emotions. This is a punk rock record through and through, and a fantastic one at that, but it's also an album that honors a great man and does it by raising hell. That's what punk rock is supposed to be about after all - and that makes this the perfect testament to the man himself. Despite the hard hitting punk riffs that define this album, tracks like Agali show that the band is much more tightly controlled than you might initially expect. In fact that's a huge part of the appeal for me, that Black Tusk have put together something here that is driving and powerful but also perfectly executed. The throbbing might of these tracks speaks to the enduring power of Black Tusk. I will never forget first hearing that cry of "Six, Six, Six" which kicks off their 2011 classic Set The Dial but on this album it feels like Black Tusk are able to tap into some of that old time magic to put out one of their most potent releases to date. This is a thrilling and dynamic album. Not only that but it's an album which seems to expand constantly, perpetually pushing new boundaries and demanding new takes from the listener. They are unafraid to toss in Thin Lizzy moments right next to Motorhead-esque assaults. The brutal punishment that comes with some of these songs is out of left field, and other times it feels completely on point. 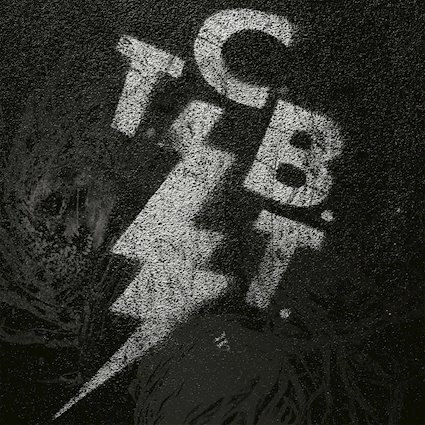 TCBT is an album which can't help but to become more exciting with each passing listen. It reinvokes the youthful obsession with punk rock and makes me at least headbang until my neck hurts.